There’s also a short note from Nicely Noted. 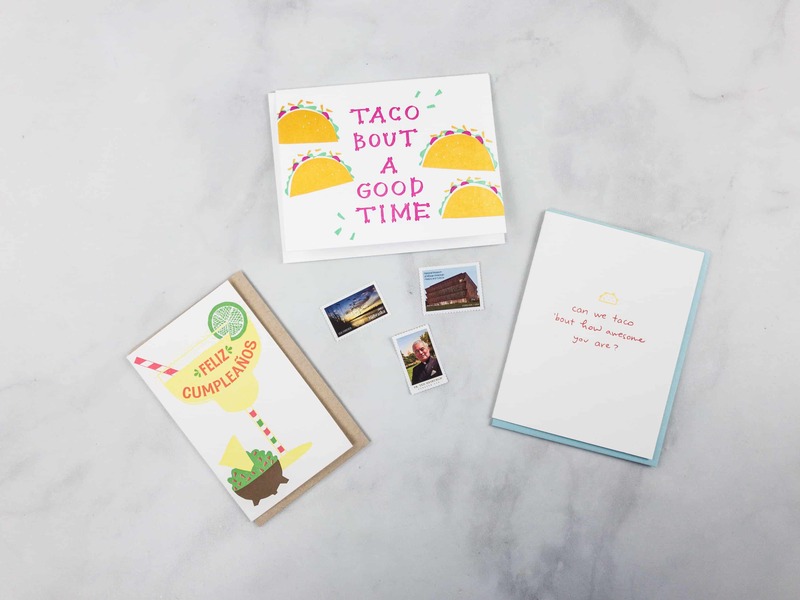 They said that this month’s greeting cards are inspired by the upcoming Cinco de Mayo. 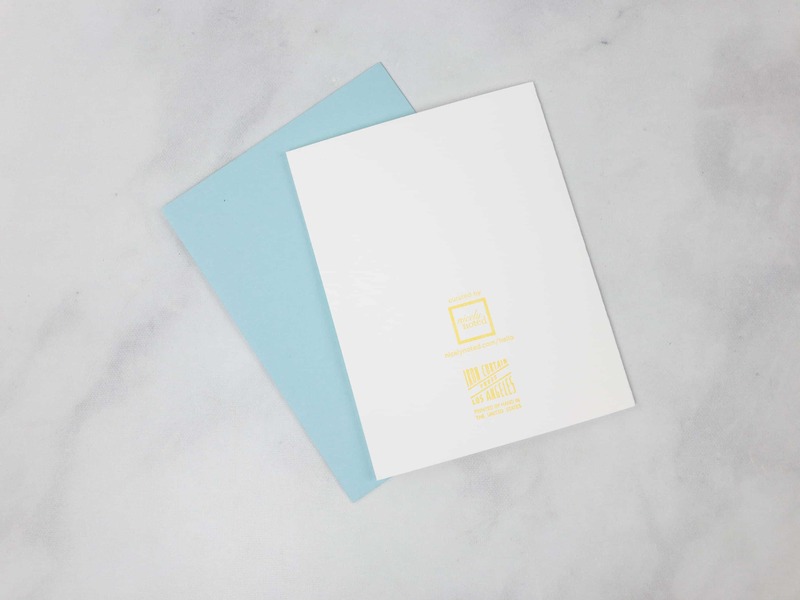 Turn over the note and you will find a list of this month’s cards, plus a brief description from the makers. 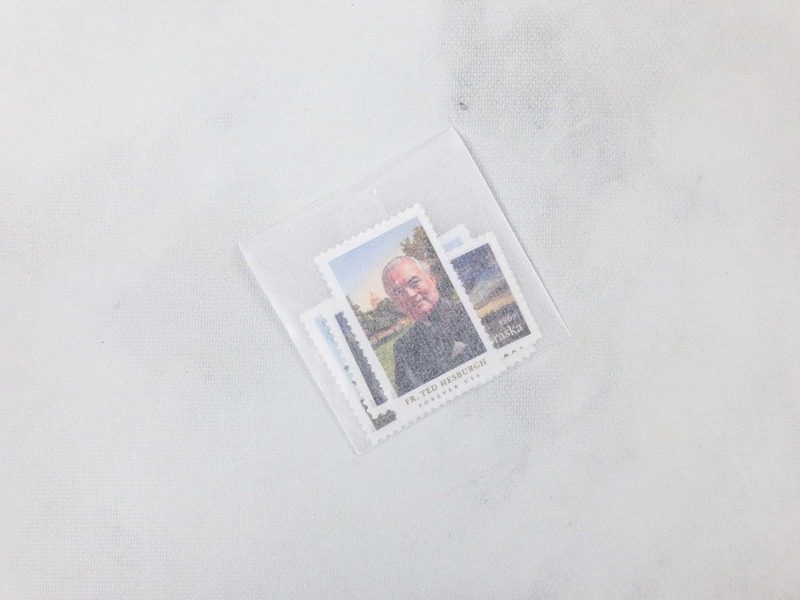 Each greeting card is individually packed with an envelope in a clear plastic wrapping and the stamps are in a small pouch. 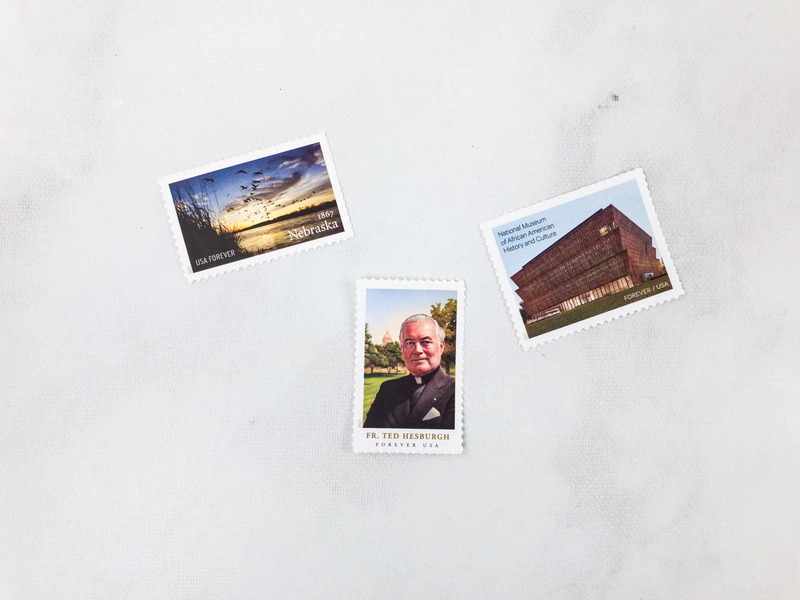 With every mailing, you will receive 3 stamps that you can mix and match with the cards. 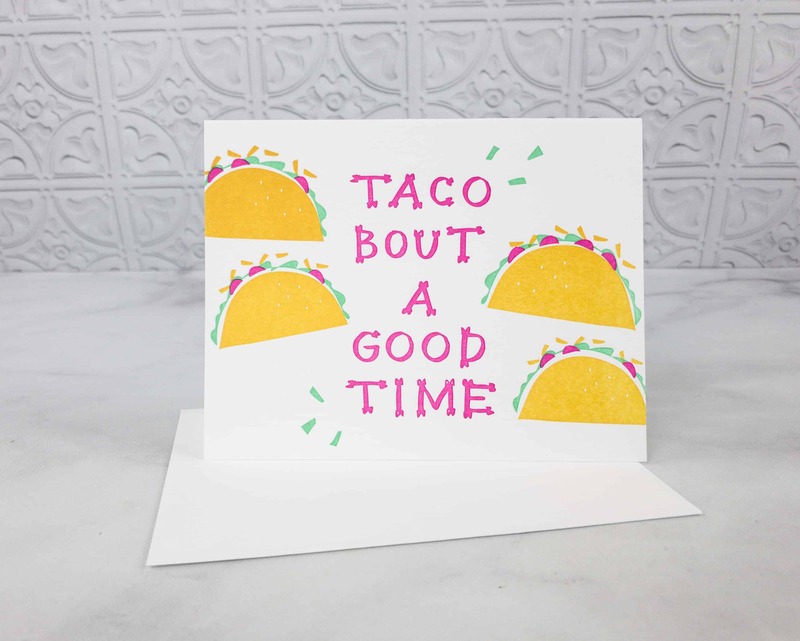 Printerette Press Taco Bout A Good Time Letterpress Card ($5.50) I love good puns, and this one made me smile when I saw it in the package. The choice of colors are bright and lovely too! 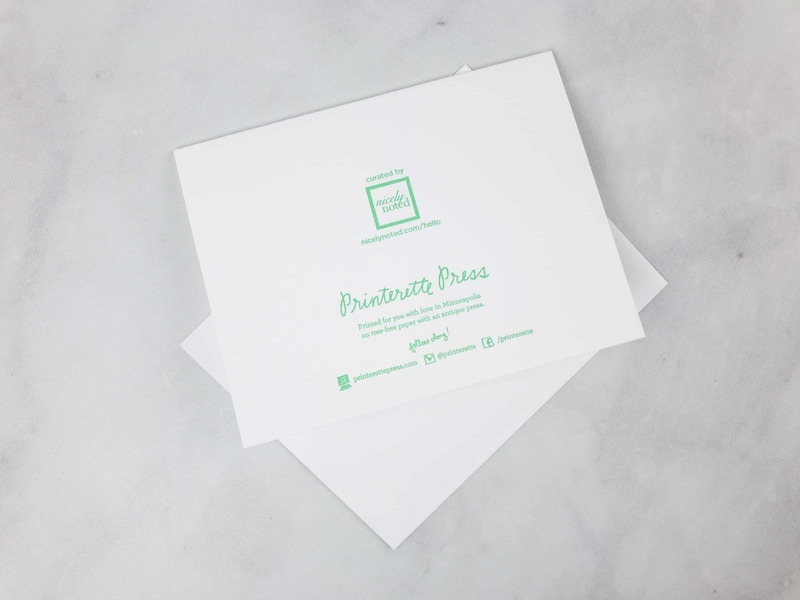 This card is from Printerette Press and made in Minneapolis. 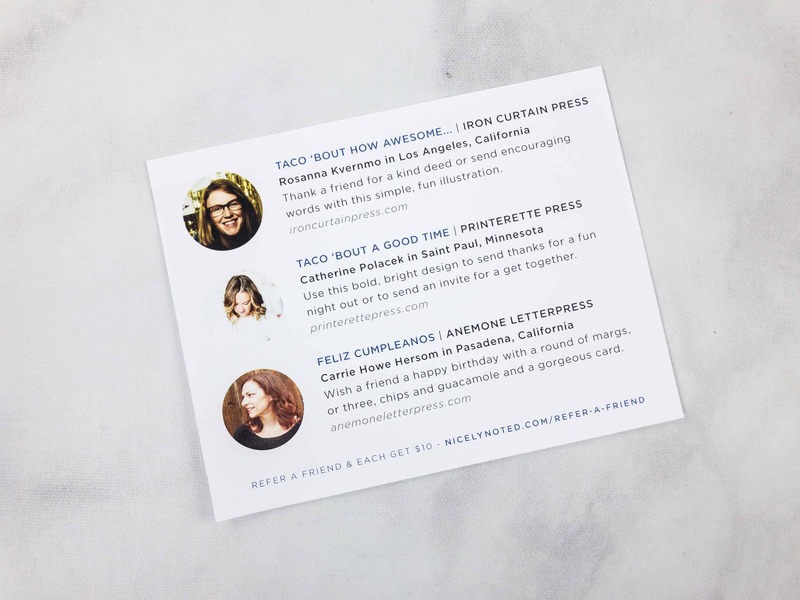 Iron Curtain Press Can We Taco Bout How Awesome You Are Letterpress Card ($5) Another card with a pun is very much welcome. This one’s really cute, and I think it would make a nice thank you card. It’s from Iron Curtain Press in Los Angeles. 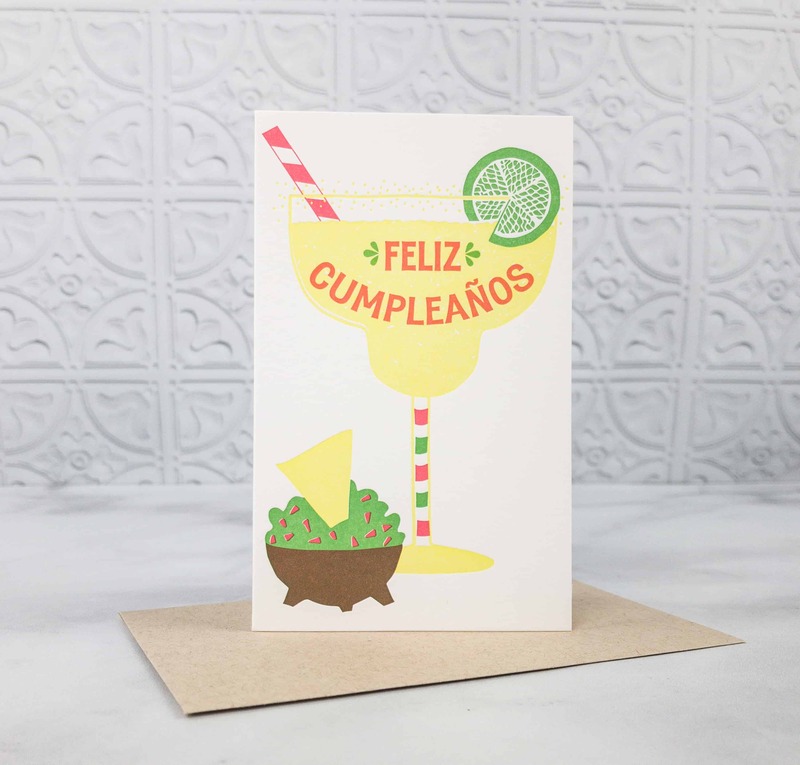 Anemone Letterpress Feliz Cumpleaños Letterpress Card ($5) After the tacos, here comes the chips and guacamole plus a cocktail drink! What a lovely way of wishing someone a happy birthday! 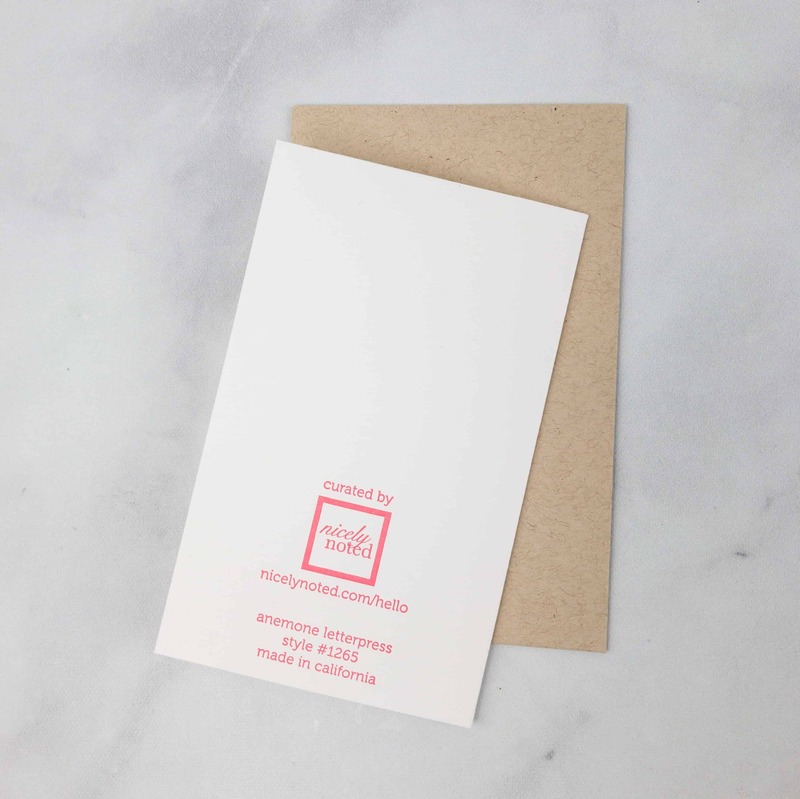 It’s from Anemone Letterpress and made in California. I love that these cards have stamps with it! 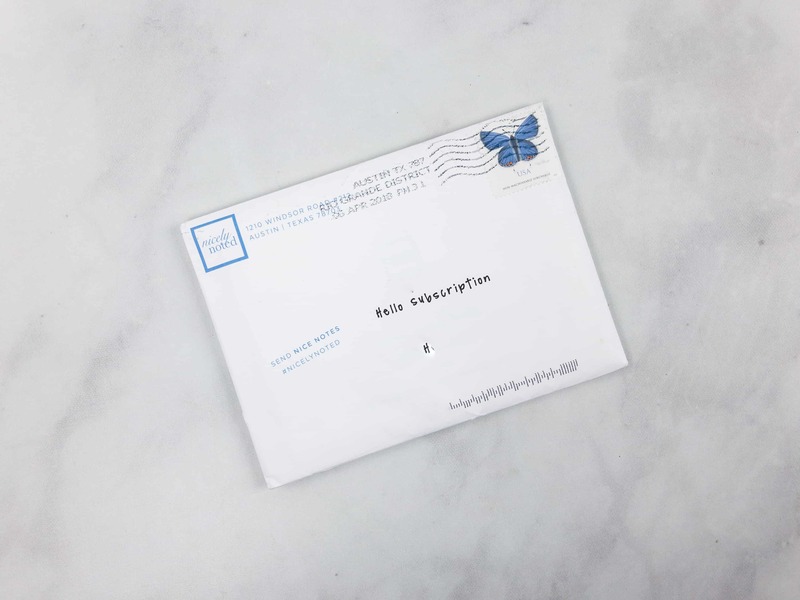 You won’t have a reason to be lazy about sending them because they’ve already got you covered. This theme is fun and light. I also like that these cards are open to interpretation. 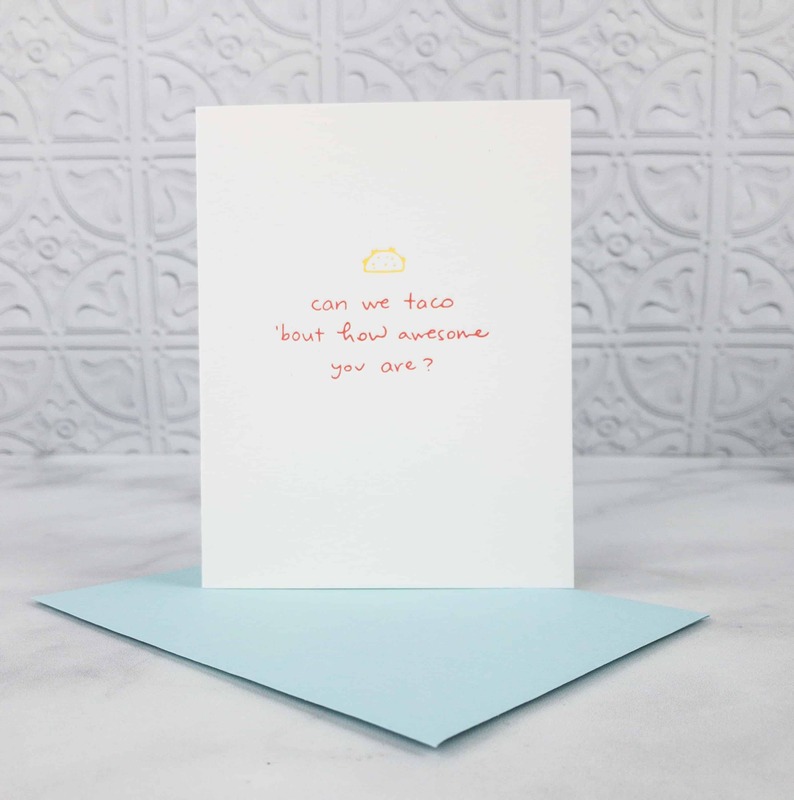 We usually buy cards that are relatable and strike a chord with how we feel, right? 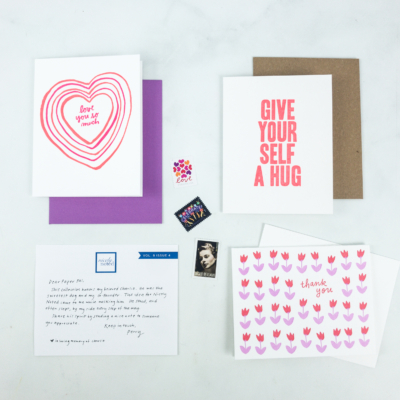 Before the heartfelt messages inside, the receiver gets to see the witty quotes and catchy phrases first. It sets the mood, and it’s good for first impressions too. I love the punny cards this month! Keep up the good work, Nicely Noted!